Get Ready for LeakyCon 2018, Aug. 10-12 @ Dallas Convention Center! Find all the DETAILS including Leakycon Event Parking, Schedules, and the Official Leakycon Website. We have this Griffindoor Harry Potter Robe from the hit Harry Potter Movies. 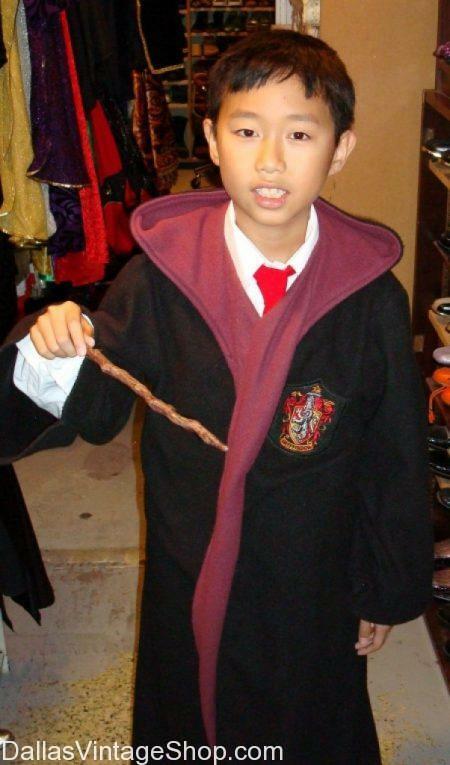 When you need Leakycon, Harry Potter, Wizard Attire come to our Cosplay Mega-Store, Dallas Vintage Shop. Get your House Robes here before Aug 10-12 because it’s time to update & upgrade your Wizard Wardrobe, Wands, and Glasses before you don your robes at Leakycon. Get Leakycon Date & Time: August 10-12, 2018, 10:00 a.m. – 5:00 p.m.
“Join Harry Potter fans from across the globe as we gather in Dallas, TX for a weekend-long celebration of “The Boy Who Lived” and the extraordinary impact his story has had on both the Wizarding and Muggle worlds. This entry is filed under 2019 08/09-08/11 LeakyCon, Dallas. You can follow any responses to this entry through the RSS 2.0 feed. Both comments and pings are currently closed.